If you just so happen to be in SEATTLE tonight (Friday May 6th!) 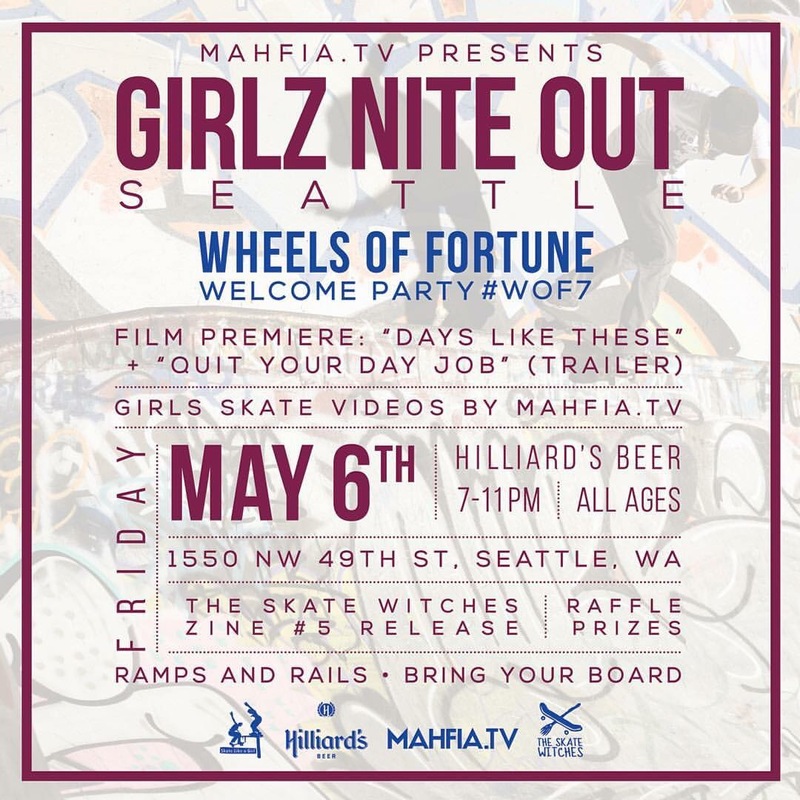 then Mahfia TV will be presenting Girlz Nite Out Seattle / Wheels of Fortune Welcome Party! There will also be a Film Premiere of Jenna Selbys UK Girls skate film Days Like These plus a sneak peek of the Quit Your Day Job Vid AND The Skate Witches Zine #5 release alongside raffle prizes and ramps / rails to skate so bring your board! 7pm at @hilliardsbeer FREE + ALL AGES!